We are fully up and operating here at the Ticket to Ride Surf School in Perranporth and getting ready for the fast approaching school holidays! We’ve got a great team down here at the surf school for 2017, ready to blow your surfing socks off, because surf socks are for kooks. There are a few familiar faces amongst the crew and some fresh faces so we thought it would be a great idea to properly introduce ourselves. Julian is an all time legend and has been running the surf school for a good number of years. His tirelessness and uncomfortable ice breakers are the reason why lessons with the King are always going to be epic. We also take our hats off to him for overseeing this rowdy bunch. 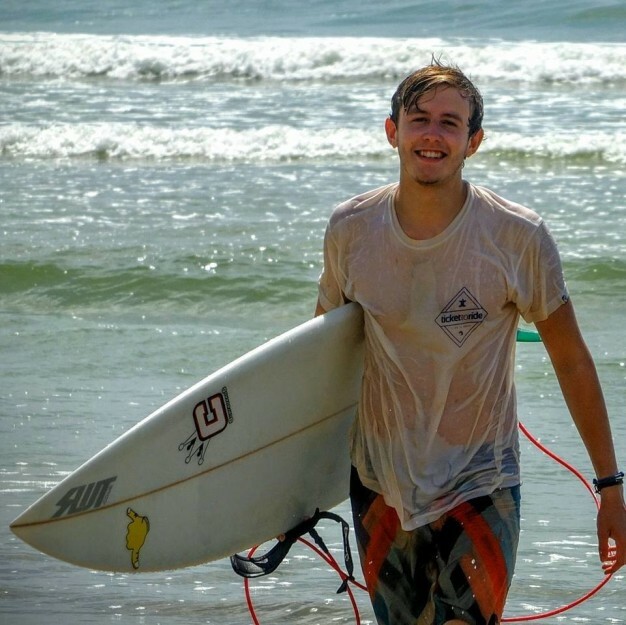 Josh originally qualified as an Instructor on our South Africa Surf Adventure and is one of the most reliable instructors going. Now in his 4th season at Ticket to Ride Surf School, he knows all the tricks in the book to get you up and riding. When he’s not in Perranporth you’ll find him cruising round Spain and Sri Lanka as a trip leader for our worldwide surfing adventures. Living the dream Josh! The man, the myth, the legend. That’s Slamiroy. 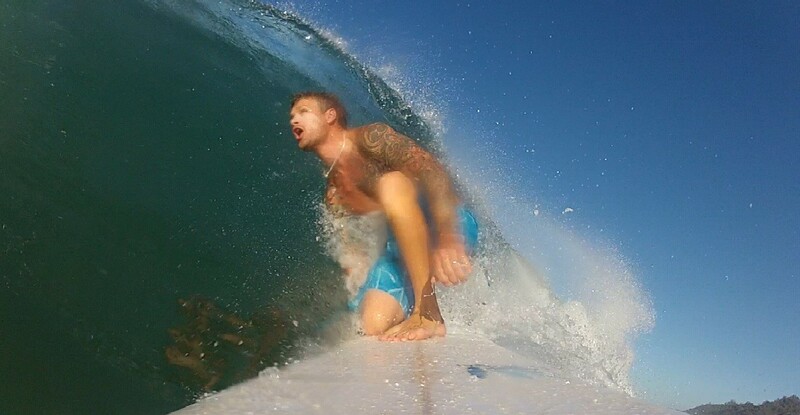 Sam is the mastermind behind the iAM Bands System and is also a professional surfer sponsored by Hurley. He also does advanced coaching, Sees the positive of any situation, leads our visiting school groups and has a voice comparable to David Attenborough. Representing the chicks, Jeffa is mad about bananas and like Josh went on the South Africa Surf Instructor Course as well as the Ticket to Ride trips to Costa Rica, Sri Lanka and Indonesia. 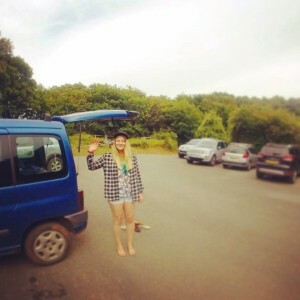 Now on her second season with the Surf School she’s buzzing for the summer season after surfing through the Cornish winter. Charlie did his voluntary hours with us in April and we thought he was so ace, we decided to keep him on for the season. He’s an all-round nice guy, conscientious instructor and a lesson with him will come with guaranteed good vibes. 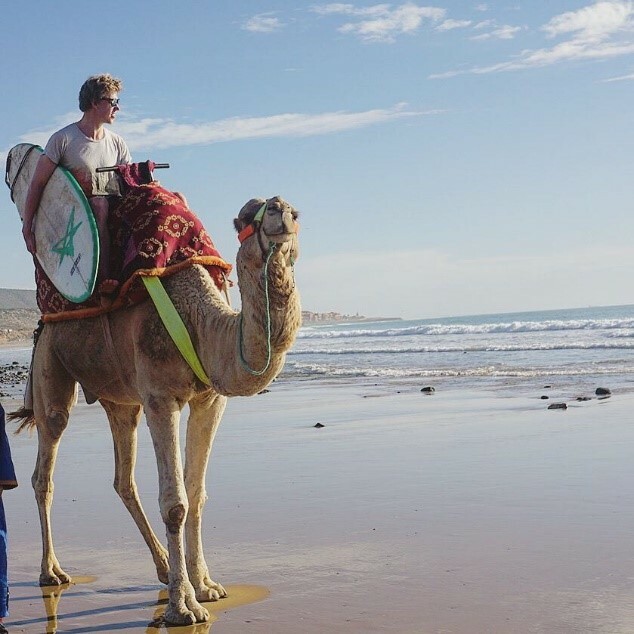 When he’s not in the sea or cruising Cornwall on his motorbike you will find him wave hunting on a camel. If you booked a lesson with us the chances are you’ve had the pleasure of speaking to the lovely Cat over the phone or by email. Cat holds the business together and keeps all the sun frazzled instructors in line. We owe you a lot of rounds you legend. The two bros, Chris and Pete came to the school last summer to do their voluntary hours and are now back for more! Chris looks as though he’s attempting the John John Florence hairstyle after a season ‘finding himself’ deep in the Costa Rican Junlge. On the other side Gym-nut Pete will undoubtedly give you a nutritional breakdown of what to eat after a surf lesson to get those all-important ‘gains’ to make you shred. Either way we’re stoked to have these two bearded creatures back. So here we are, ready for the summer surf sessions and we hope you’ll come down to the surf school to join us! To book online click here or give us a shout on 01872 888480. This entry was posted in Learn to surf, News, Perranporth, Surf School, surf travel. Bookmark the permalink.